There’s a solid chance that any given small business owner is familiar with the Intuit brand. 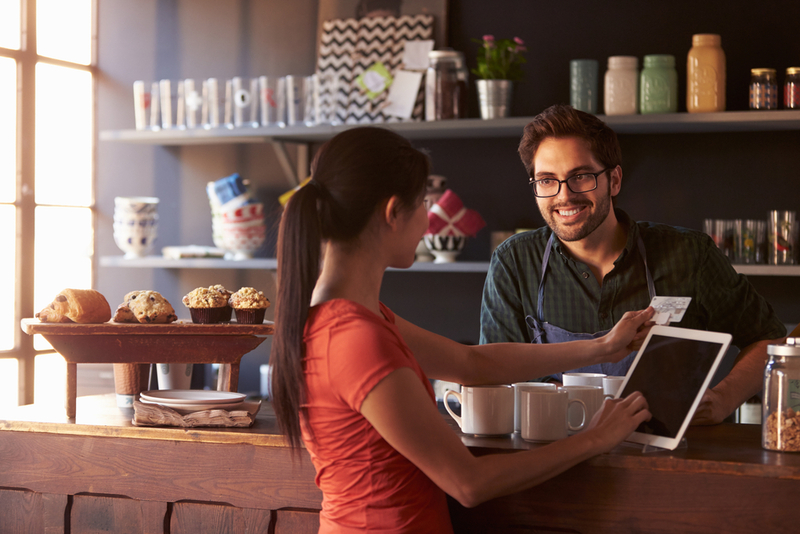 Most of the small business world is well-acquainted with Intuit’s QuickBooks accounting software—but did you know there are Intuit payment solutions, as well? 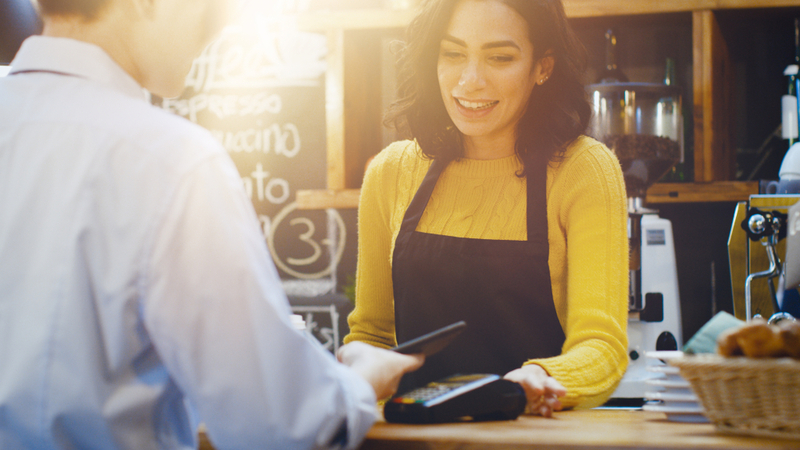 In fact, these Intuit payment solutions—known as Quickbooks Point of Sale, or Quickbooks POS—are some of the best point of sale options on the market. Intuit originally made its name thanks to its wildly popular accounting software, QuickBooks. Now, with their expanded offerings, Intuit has become a main player in all things small business. Wondering what exactly QuickBooks Point of Sale can offer your business? Here’s your ultimate review of all the ins and outs. The umbrella of QuickBooks Point of Sale actually encompasses multiple Intuit payment solutions. For one, QuickBooks POS comprises desktop QuickBooks POS software, along with individual pieces of QuickBooks POS hardware. To tackle all of the Intuit payment solutions available to you, we’ll break them down into two categories—QuickBooks POS software and hardware. The first section of our two-part review covers QuickBooks Point of Sale software. Unlike many of QuickBooks POS competitors, the software for QuickBooks POS software pricing is structured as a one-time, lump sum, rather than an initial cost, plus a monthly access fee. Once your business invests in QuickBooks Point of Sale software, it’s yours. That said, that initial investment will likely be more substantial than it would be for QuickBooks POS competitors that charge a monthly access fee. Can these Intuit payment solutions offer up enough capabilities to justify their considerable price tags? The most basic of the QuickBooks Point of Sale software options is appropriately named Basic. With the Basic version of QuickBooks POS software, your business will have access to all the fundamentals while avoiding the extra cost that all the bells and whistles carry. That said, QuickBooks POS software’s Basic version with also cost less relative to your other Intuit payment solutions—you’ll have to pay a one-off price of $1,200 for this QuickBooks Point of Sale software. The next step up for QuickBooks POS software is the Pro version. This version of the QuickBooks Point of Sale software will grant your business access to a longer list of capabilities, but will also come with a more substantial cost. Of all the Intuit payment solutions, the Pro version of QuickBooks Point of Sale software will offer you the happiest medium between affordable and powerful. The most powerful of all the QuickBooks POS software options is the Multi-Store plan. Relative to other Intuit payment solutions, the Multi-Store option is the most powerful and the most costly software option. The next part of our two-pronged review for QuickBooks Point of Sale covers the QuickBooks POS hardware options. One of the great things about Intuit payment solutions is how customizable they’ll be for your business’s unique needs and preferences. The following pieces of QuickBooks POS hardware are for sale individually. So, you’ll be able to mix-and-match according to what your business needs—and doesn’t need—for its QuickBooks POS system. This QuickBooks POS hardware—the card reader—is perhaps the most essential to any given POS system. The EMV Ready PIN Pad is the only Intuit credit card processing machine available for QuickBooks POS systems, and it will allow your business to process payments from magstripe cards and chip cards. That said, this Intuit credit card reader won’t allow your business to accept contactless payments. Many QuickBooks credit card processing competitors will allow your business to accept contactless payments from multiple payment apps like Apple Pay and Google Wallet. Plus, with a $349.95 price tag, this Intuit credit card processing machine is a considerable investment for your business. If you want your QuickBooks POS system to be able to offer your customers hard copy receipts, then you’ll also have to invest in a receipt printer. This device will put your business back $219.95. You’ll have two barcode scanner options for your QuickBooks Point of Sale. The first and most affordable is a wire version that will cost your business $199.95. The other barcode scanner option for your QuickBooks POS system is their wireless barcode scanner. This option is more convenient, but at $409.95, it’s also one of the costliest Intuit payment solutions available. If your business handles a lot of cash, then you’ll want to consider investing in a cash drawer for your QuickBooks Point of Sale, as well. Through Intuit, this piece of hardware will cost your business $109.95. A pole display addition for your QuickBooks POS system will allow your customers to see the details of their transactions, but it will also cost your business a cool $209.95. Finally, you might want to print tags and labels with barcodes to speed up your business’s checkout process. Intuit payment solutions offers a tag printer for the QuickBooks POS system, but it will come with a $329.95 price tag itself. With all of the details on Intuit payment solutions laid out in front of us, it’s time to take a step back and get a wider view of all of these logistics. One feature that’s certainly worth noting is the way the QuickBooks POS cost is set up. Once your business invests in QuickBooks POS, it’s yours. So, QuickBooks POS cost won’t involve monthly access fees or setup fees. 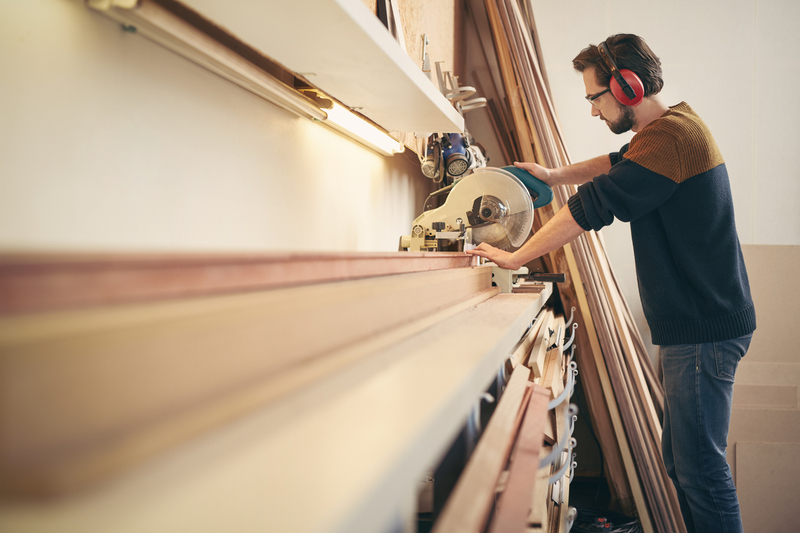 So, what you see is what you get—the way QuickBooks POS cost is structured will allow your business to get a better picture of just how much you’ll have to invest in it. Despite the upsides to Intuit payment solutions, QuickBooks POS systems are far from perfect. In fact, there are arguably more notable downsides to opting for a QuickBooks POS system than there are upsides. No matter how you slice it, QuickBooks POS cost is one of the highest on the market. Even if you opt for the most basic setup for your QuickBooks POS system, it’s still going to cost your business a considerable sum. And because this sum will have to be paid in one fell swoop, your business will have to hand over a ton of capital all at once. And this can be a serious deal breaker for many small businesses. And on top of the initial QuickBooks POS cost, in order to actually access Intuit credit card processing, you’ll also have to pay for Intuit payment processing. That’s right—even though you’ll only have to pay once for your QuickBooks POS system, QuickBooks credit card processing will be whole other fish to fry. And it will cost you a certain percentage of every transaction that your business runs through it. You’ll have two payments for this: you can opt to pay as you go or you can pay monthly. If you pay as you’ll go, you’ll pay 2.7% of each swiped or dipped transaction, 3.5% of each keyed-in transaction, and 1% for each swiped or dipped transaction with a PIN. If you opt to pay monthly instead, you’ll pay a monthly rate of $19.95, as well as 2.3%, plus $0.25 for every swiped or dipped transaction; 3.2%, plus $0.25 for every keyed-in transaction; and 1%, plus $0.25 for every swiped or dipped transaction with a PIN. So, while calculating you QuickBooks POS cost, be sure to keep in mind that Intuit payment processing will be another, transaction-based cost to consider. Finally, one last notable downside to getting a QuickBooks POS system is that it’s completely desktop-based. Unlike QuickBooks accounting software, there is no “QuickBooks POS Online.” You’ll only be able to access QuickBooks Desktop POS software. As a result, QuickBooks POS software will only be able to integrate with QuickBooks Desktop accounting software. If you want to get a POS system so that it connects with your accounting software, but you’re using QuickBooks Online for your business’s books, then a QuickBooks Point of Sale system would, unfortunately, be beside the point. So, now that we’ve combed through all the ins, outs, positives, and negatives, to all facets of QuickBooks POS systems, what’s the takeaway for this review? The way we see it, there will almost always be a more powerful, more affordable option that these Intuit payment solutions. And unless you’re a QuickBooks Desktop user, and you’re determined to have your POS synced with your computer software, there will also be more convenient POS options for you out there. For contingency POS system plans, we’d suggest you look to Square or Clover for more affordable, more fully integrated POS system bundles.